Assassin’s Creed is a series that I’ve tried to get into no less than four times. Each time, I’ve bounced right off. It hasn’t been any one issue. 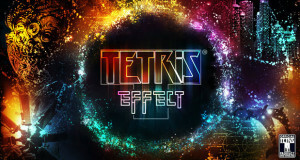 Across the various games the story has failed to hold my interest, the overwhelming number of repetitive and simplistic missions has turned me off or the actual mechanics of the gameplay just lost its appeal well and truly before I’d reached the end of the game. But I kept coming back for another go because in principle, the idea of an expansive open-world video game with a triple A budget that is set in some of the most interesting periods of human history is right up my alley. I want to lose myself in an adventure set during Victorian era London. Or Civil War era America. Or Napoleonic era Paris. 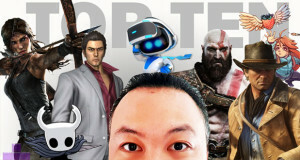 The potential for each of these games is always off the charts. Ubisoft themselves seemed to recognize that whilst the Assassin’s Creed series has sold extremely well, it wasn’t quite hitting the mark and with some of their recent titles copping additional flack for poor technical performance (Assassin’s Creed Unity in particular), they gave the series a much needed ‘year off’ before returning with Assassin’s Creed Origins, a game based in ancient Egypt. Giving the series an extra twelve months of development time has paid off handsomely. It’s been a long time coming, but this has finally been the Assassin’s Creed game to successfully get its hooks in me and it’s the first one I’ve seen through from start to finish. 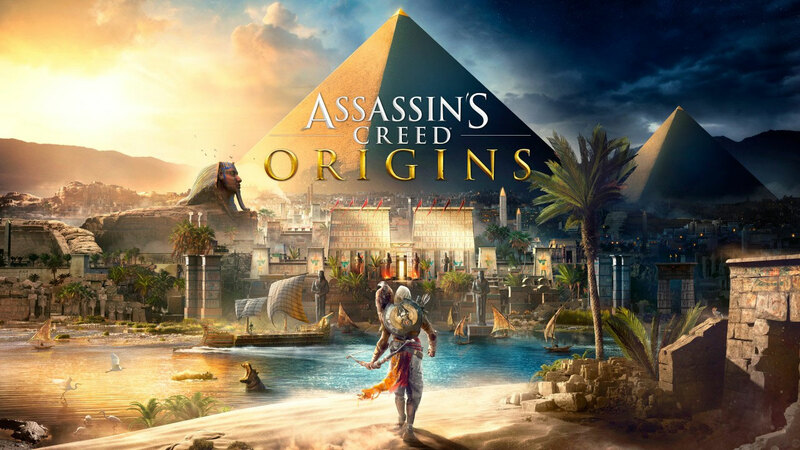 Origins is set in Ptolemaic era Egypt where players take on the role of Bayek, a Medjay (ancient Egyptian mercenary) who serves the people of Siwa. It is a tumultuous time in Egyptian history as there is a power struggle between the Pharaoh and his sister Cleopatra. Bayek becomes entangled in this power struggle when masked assassins abduct him and his son Khemu. Bayek escapes but his son is slain in the ensuing melee. A year later Bayek and his wife Aya resolve to hunt down all those responsible – a clandestine group known as the Order of Ancients. Thus, the stage is set for Assassin’s Creed Origins. Origins is a massive game. It pulls a similar trick to a lot of other open world games where it lets you get used to a certain size and scale on the map, only to pull waaaay back and reveal that you’ve actually only spent the opening few hours of the game in a tiny pocket of the overall map. Even after completing the story from start to finish, there are still large expanses of Egypt that I hadn’t uncovered. Origins’ scale is far beyond the scope of what I would ever have time to fully explore. There are a lot of new developments and gameplay additions to Origins that are a first for the series but most importantly, Assassin’s Creed Origins has much more charm and personality than its predecessors. 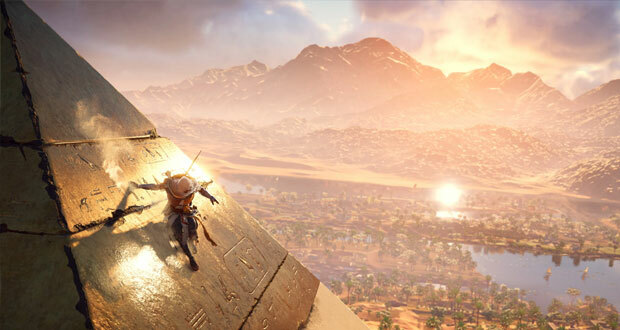 The Egyptian setting provides a rich and intriguing backdrop for the player to explore and in Bayek, Ubisoft has created their most engaging protagonist since Ezio all the way back from Assassins’ Creed II. Bayek is well spoken, intelligent and compassionate. A character whose company you are happy to keep. Not unlike Geralt’s work as a witcher in CD Projekt Red’s famous series The Witcher, Bayek’s role as a medjay goes a long way towards helping to contextualize his actions helping the people of Siwa. The relationship he has with his wife Aya is also a breath of fresh air for a series that has its share of broody and silent protagonists. Both Bayek and Aya are likeable, well-rounded and outspoken characters. Aya’s agency in tracking down the Order herself, independent of Bayek, is also a welcome aspect to her character. 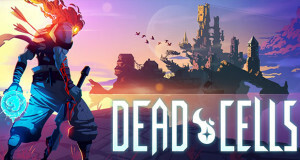 In terms of gameplay, the core mechanics of Origins – the parkour and the combat – feels pretty similar to other entries in the series. However, the welcome addition of some light RPG mechanics help round out the experience and add some much needed sense of progression and purpose to the proceedings. When you’re unlocking new moves via a skill tree and finding new weapons that have variable stats, it makes the grind of working through the 100+ side quests much more enjoyable. I think these additions to Origins were the key to keeping me engaged once the game hit its stride. In previous entries, I’d grown weary of the storyline and gameplay when I reached the ten hour mark. With Origins, this was when the game really began to hit its stride. I’m stoked that Ubisoft has finally tweaked its Assassin’s Creed template to a point where it clicks for me. I’d happily experience the Origins gameplay template applied to other periods of history so I’m looking forward to where they take the series next. The company appears to be back to its annual cycle and first up is Assassin’s Creed Odyssey, set in ancient Greece. Not only will the game have all the features of Origins, it’ll be the first in the series to have a playable female lead. Sign me up! Summary : The first Assassin's Creed game I've really gelled with. The introduction of some light RPG elements and skill trees have breathed new life into the game.